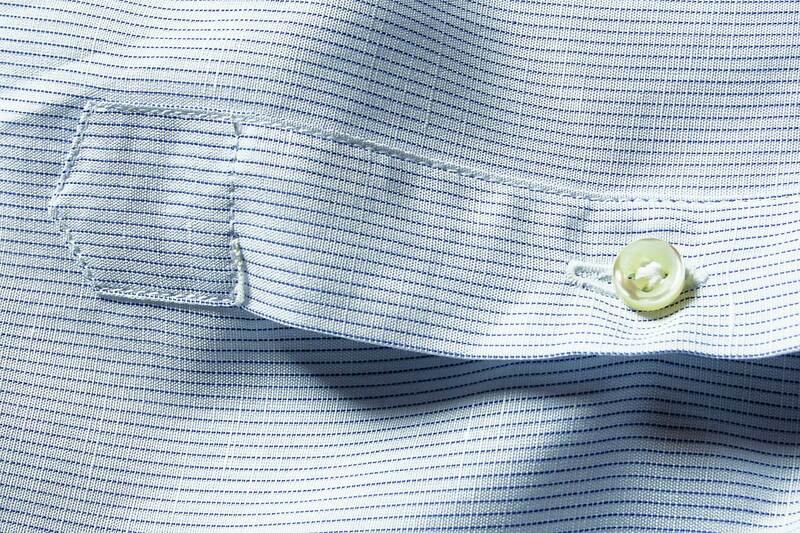 The shirt immediately reveals how refined a man is, so for us it is fundamental to produce high quality shirts. A shirt is called a shirt. 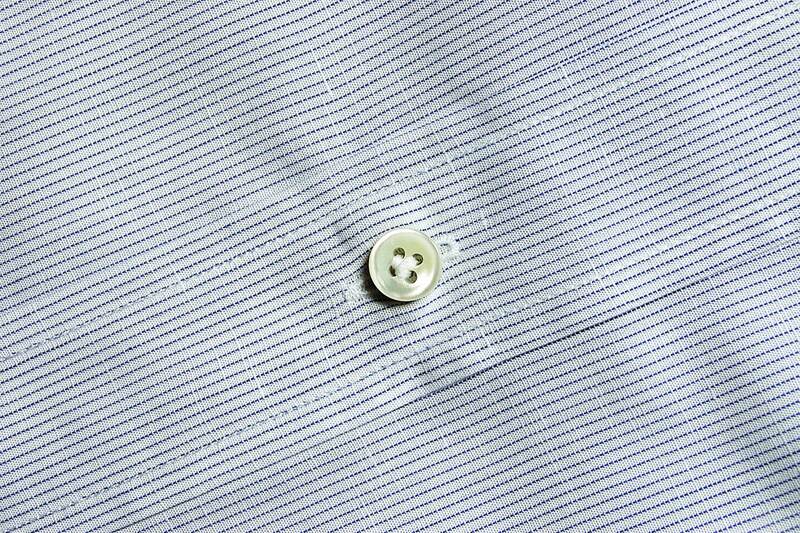 If it is good or just ordinary, extraordinary or even perfect it’s still called a shirt. But the expert eye knows the difference and if he is reading this, maybe it is because he shares my passion for beautiful clothes and the search for perfection. Apparently it seems a simple job,but with less than 30 years experience it appears you cannot do it with the same skill. 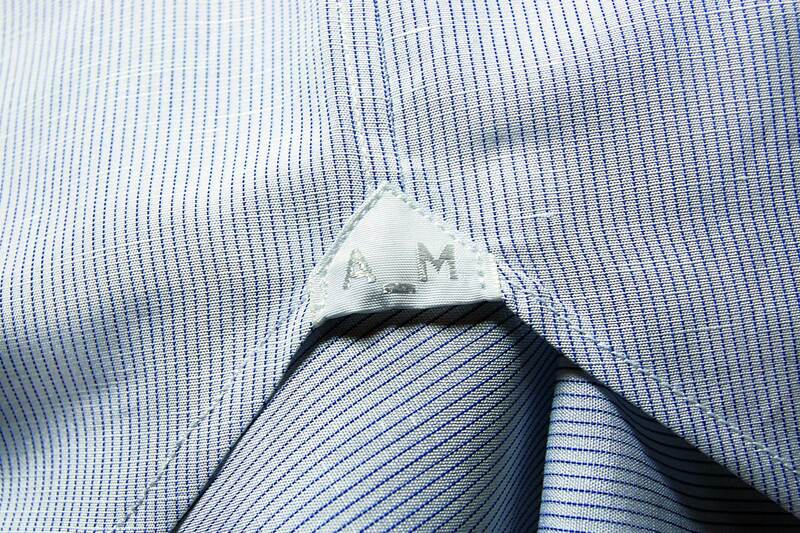 shirt is hand cut to the paper pattern with the measurements of each individual customer: owning one is like becoming a part of a big family. All the seams are single needle stitched in the English style: the sleeve opening is reinforced by a distinctive hand stitched reinforcing bar at the critical point. It is hard to comment further. The buttons are made from Australian mother of pearl and are sewn on with a crossed lock stitch: because when something is perfect it is difficult to better it. the side of the tail? Sometimes with a personalised monogram. Well here it is.